I was testing the fab’s ability to handle plated slots and ended with what looks like a pretty useful tool to convert 1.4″ connections to 3.5mm and back. Instead of maintaining a bunch of mixed jack conversion cables I can now just run standard ones through this tool. 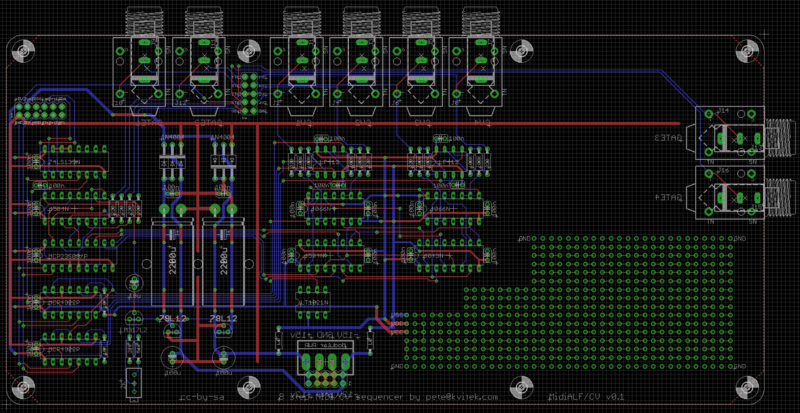 Here’s the second revision of MidiALF/CV board, streamlined and improved. Edit: Gate3/4 connectors were moved to the top of the PCB. 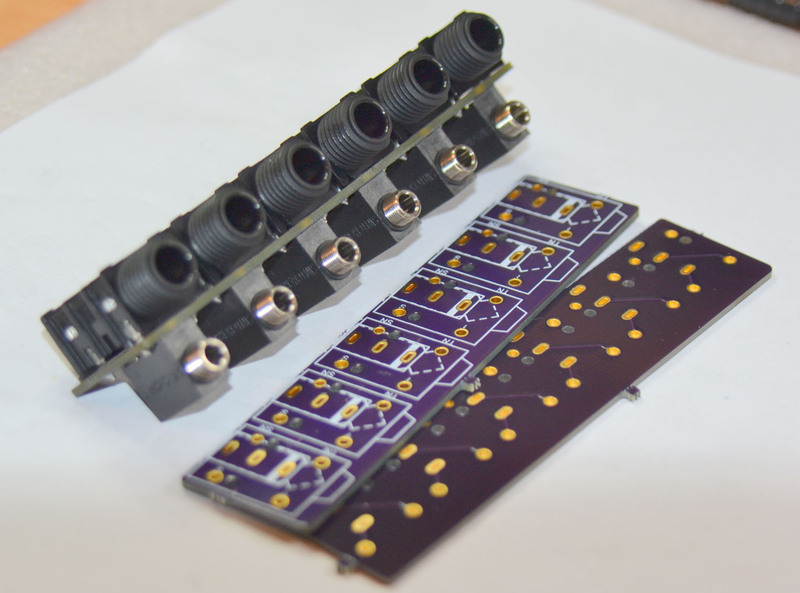 The plan is to use taller stand offs on the back side so that these connectors fit in with the MIDI I/O connectors. 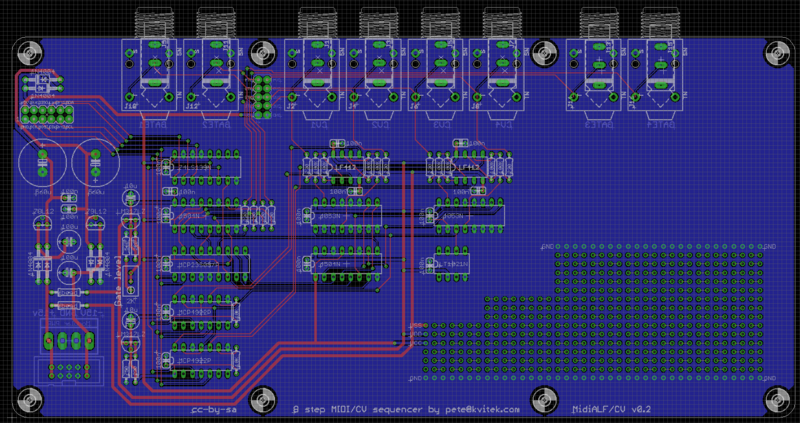 MidiALF/CV board routing is almost ready to go. Everything is in place, routing is done, hacking area added. It has 4 x CV and 4 Gate outputs, 1/4″ or 3.5mm jacks.